Sixty-eight minutes into Borussia Dortmund's home game against FC Ingolstadt 04 on Matchday 19, the vast majority of the 81 thousand-plus crowd at the Signal Iduna Park watched on in vague collective bemusement as a young substitute entered the fray for the hosts. He may have played a key role in the U-17s' march to the German title last season but Christian Pulisic was a completely unknown quantity at this level, even for many a BVB diehard. And now here he was, taking his professional bow in a game balanced on a knife-edge at 0-0 – the eighth-youngest Bundesliga debutant ever, at 17 years and 134 days old. If he was nervous, let alone anxious, the Pennsylvania native with Croatian roots didn't show it. Come the final whistle Dortmund had their three points in the bag, courtesy of a late Pierre-Emerick Aubameyang brace. 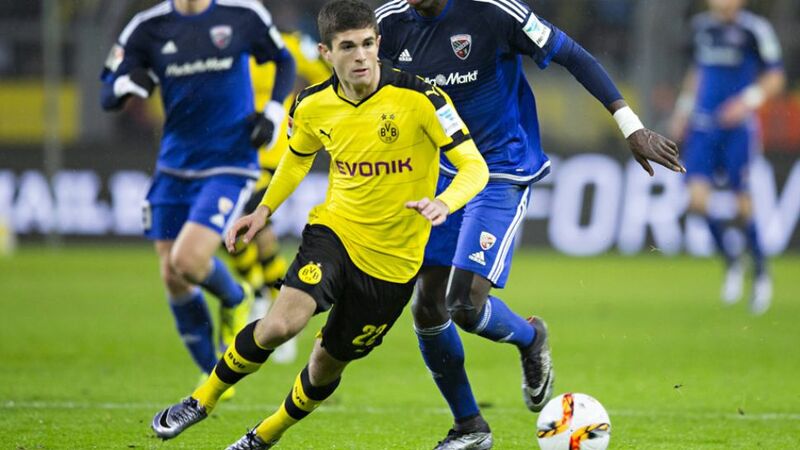 Pulisic had impressed as well in his 22-minute run-out, demonstrating his pace and crossing ability down the left.